Please call today to schedule your appointment. There is nothing more special than that bond between mother and infant in a successful breastfeeding relationship. And helping mothers and babies achieve that is what I do. Show mothers how to breastfeed, and how to maintain lactation even if they should be separated from their infants. 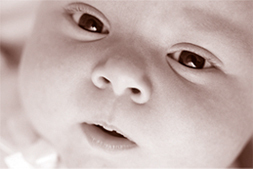 Give newborn infants no food or drink other than breast milk, unless medically indicated. Practice rooming-in - that is, allow mothers and infants to remain together - 24 hours a day. Source: Protecting, Promoting and Supporting Breastfeeding: The Special Role of Maternity Services, a joint WHO/UNICEF statement published by the World Health Organization. Breastfeeding help, because it does matter!